Have you ever read the Flat Stanley books? 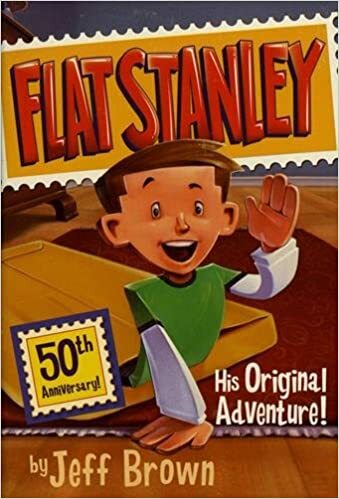 Flat Stanley has been around for over 50 years. The endearing boy who was flattened by a bulletin board that fell on him while he slept has been sharing silly and fantastic adventures for over 5 decades. Multiple generations of families have enjoyed the one-dimensional, but never dull stories of Stanley Lambchop. Stanley goes on incredible journeys using the postal service to travel the country and world. He saves the Famous Museum from sneak thieves, he finds jewelry lost in places we thought never to see again. But perhaps the most important thing about Stanley is he teaches us the lesson of inclusion, of how we are all different, yet we are all the same. We may not all be as different as Stanley is, but we are all definitely unique in ways that to us at least, seem to isolate us and make us the obvious choice to bully. Flat Stanley is a great story for kids who think they are different, or for kids who may not want to interact with someone who is different. It is an excellent tool for teaching diversity, inclusion, acceptance, and making someone understand the pain that is left behind when someone is bullied. While the books help to bridge the gap between this major issues they do so in such a fun and simple way that readers do not feel they are being forced to read a book that will make them learn. The journey that readers experience with Stanley is organic. It changes and grows with the reader and allows them to follow along unobtrusively. Check out the Flat Stanley series now if you haven’t read it before. We highly suggest starting with Flat Stanley: His Original Adventure! You will not be disappointed! This entry was posted in Learning, reading and tagged bets books, Books, diversity, flat stanley, flat stanley books, inclusion, read to learn, Reading, reading together, the boys store on April 1, 2019 by Lacy. Games That Teach: Go Fish! Recently I planned a day of beauty and rest for myself. I was headed to get my hair done, and get a facial. No kids, no husband, an all day just fo me outing. The world seemed to be against me though. My husband also got a last minute side-job that required him to be gone and unable to watch the kids for part of the time I would be gone. Since my husband drives a company vehicle, and he could not use it on a side-job, he was in need of my vehicle. I was going to have to take the kids with me for an hour until my husband could show back up at the salon and play with them for the remainder of my appointment. While my salon is family-friendly they don’t really want kids running around because of safety issues. This can limit the types of toys I can bring for distraction purposes. 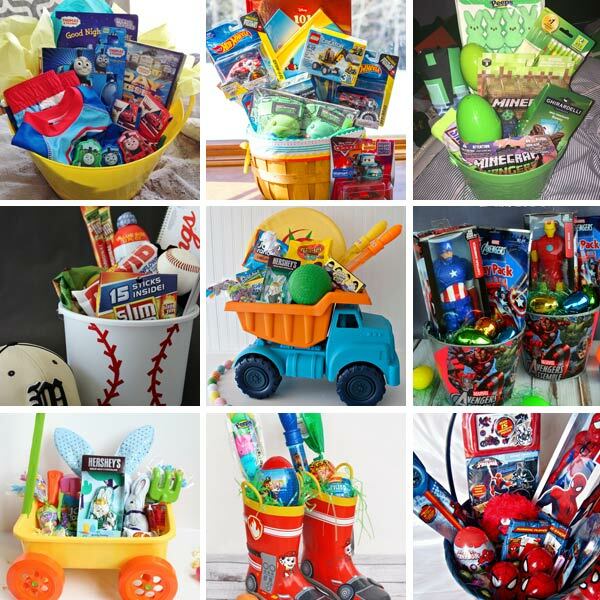 Toy cars, and blocks were my go-to, however, the kids lost interest in them very quickly. On this particular day we were also out running errands prior to the appointment. It became such a long day that all of the electronics died. I I was sitting waiting for my husband to come entertain the kids when I saw a deck of cards in the hairdressers station. I brought over both kiddos and quickly explained the game Go Fish. We dealt the cards and played a game while I had my hair done. The kids were hooked! Haha. My husband arrived and was immediately dealt in to the next hand. Both kids picked it up like it was second nature, even the 3 year-old was winning. The hairdresser was so impressed with how nicely they played, and how good they were. We started to discuss how important it was for kids to continue to play old-fashioned games like these — how these games not only were simple fun that didn’t require a screen, but also how they taught important lessons like memory, matching, number recognition, listening skills, sharing, sportsmanship, and dexterity. Kids have to deal the cards, hold them properly so that they can see them but no one else can. They have to know their numbers, and properly pair them up with matches. They have to be able to count how many pairs they have collected. They have to practice honesty and good sportsmanship. The game cannot end unless all of the cards are played, and how can that happen if a player lies about the cards in their hand? The lessons that are taught during “old-fashioned” games like Go Fish, Old Maid, and other card games are more important than we realize. When we were kids we played these games often. Now they are archaic forms of killing-time that do not get the recognition they deserve. I am not sure that my kids would have ever played the game if I hadn’t been in a situation that left the kids with little else to do. They sat nicely with their Dad playing Go Fish for another two hours. When we left for home the kids wanted to play Go Fish again. For days we played it every time they weren’t busy doing something else. We have since taken an out of town trip with my parents and most of our hotel stay involved Go Fish. Now we bring a pack of cards with us everywhere we go, and we no longer refer to “old-fashioned” games as just time killers. Check out the pack on Amazon we purchased so that we always have a deck with us! 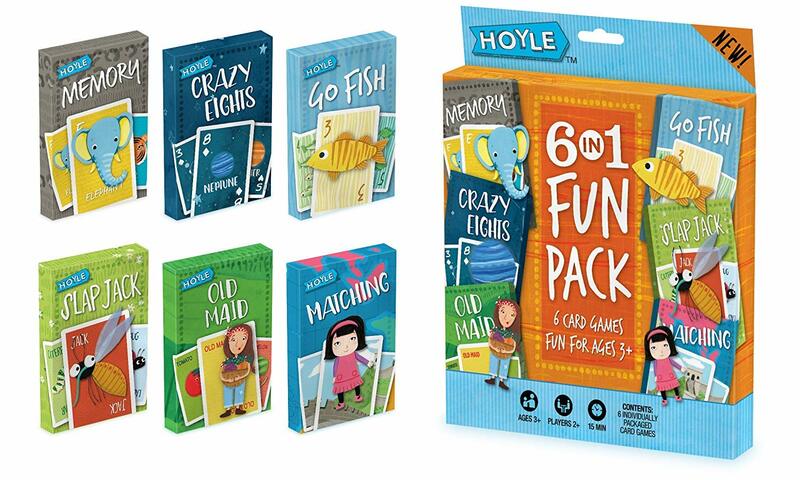 This entry was posted in Activities, Learning and tagged card games, interactive play, l;earning, math concepts, memory, old fashioned games, old maid, the boys store on March 28, 2019 by Lacy.